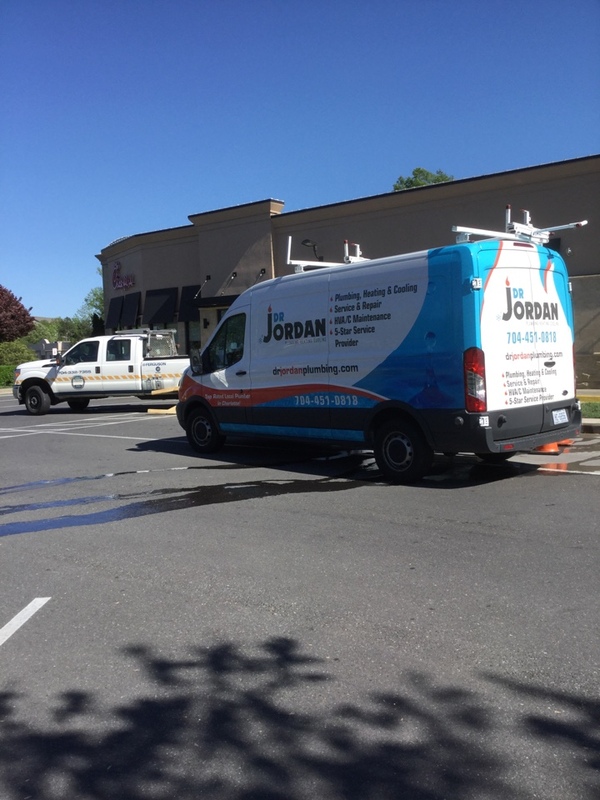 D R Jordan’s Charlotte NC plumbers and heating and air conditioning technicians clean drains and sewers, repair & install water heaters, repair hvac systems and more. Since 2002, your Charlotte NC neighbors have relied on us to provide honest pricing, excellent customers service and quality work. Read our reviews below , then call us at 704-451-0818. Matthew was very helpful and friendly while installing a new water heater for us. He answered all my questions and explained how the systems worked. Also he advised of any other problems that I may have and what I could do to prevent. Great Experience. Matt went to great lengths to make sure that work was positioned how I wanted it and that I was happy with the results. He did a nice job. Matthew was fabulous in taking care of my leaking pipe issue. Very professional, yet quite personable, and kind. I could not have asked for more from this experience. I will certainly utilize this company in the future. Prompt, efficient and gave a great explanation! Problem fixed fast and affordable! We called on a Friday afternoon, and Matthew arrived less than 2 hours later. He was able to diagnose the problem and fix our issue. He was very friendly, knowledgeable, and careful with his work. He did a great job! Reed came out quickly (same day) to fix our clogged drain. He arrived on time, and was extremely courteous and professional. He fixed it quickly and left the place spotless. They will be my go to plumbing service from now on. Great Service! Very Knowledgeable and Professional! We received excellent customer service from Matthew Delmage when he replaced the water supply valve in our powder room on Nov. 16, 2017 without cutting a hole in our sheet rock. He was very skilled, professional, courteous, and personable. He also checked our outdated water shut off handle in the kitchen and gave us an estimate for replacing it. He mentioned that DR Jordan offers senior discounts, and that is definitely an incentive for us to use your company in the future. Thank you, Matt, for the great service you gave us! Very friendly, helpful, and on time! Great service!!!! Matthew was great - very professional, arrived on time, and was very open about the services he provided. I felt that he was very trustworthy and he did an excellent installing the water heater. I enjoyed my interaction with Matthew and would definitely recommend him and DR Jordan to others. Reed came and replaced my shower handle. Super nice guy and knows what he's doing! Definitely recommend! Matthew- the Plumber technician was very professional -friendly and skillful. Hard worker. And cleaned up the work area after completing the jobExcellent problem solver to fix the problem. Was patient and gave close attention to detail. An unexpected leak in a hot water pipe left me scrambling to find a plumber. After seeing other reviews for DR Jordan I gave them a call. Matthew came to check on the leak very quickly and discovered it wasn't as bad as I feared. He evaluated the situation, explained my options, and then returned at the agreed upon time to do the repairs quickly and efficiently. I am so happy that I called DR Jordan and highly recommend them!! Emergency Service : Fabulous Work, Problem Solved with Matthew the Wonderful Plumber !! thank you , thank you !! Matthew of D.R. Jordan was fabulous !! solved our crazy issue , easily and he's so knowledgeable. Who knew our AC unit drains into the same sink lines of an upstairs bathroom ? He did, solved our overflow/back flow issue....I'm a believer in the quality, workmanship and expertise of D.R. Jordan and his team !! I will call them again, and again !! Love the fact they are 24/7 and neighborhood offices . 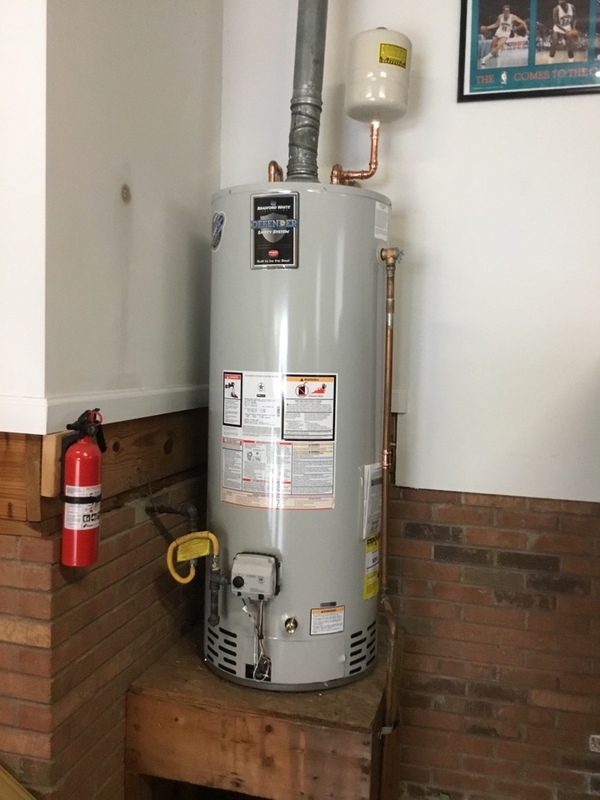 Changing out commercial water heater at Chick-Fil-A. In the master bathroom toilet did a rebuild with new flapping new fill valve, new supply line. Snake out upstairs hall bathroom toilet. Install new 50 gal gas Bradford white h.w.h in the garage. In the charlottes area install two new chrome angle stop under the 1/2 bathroom sink hot ,cold . Reset customer toilet in the upstairs hall bathroom. 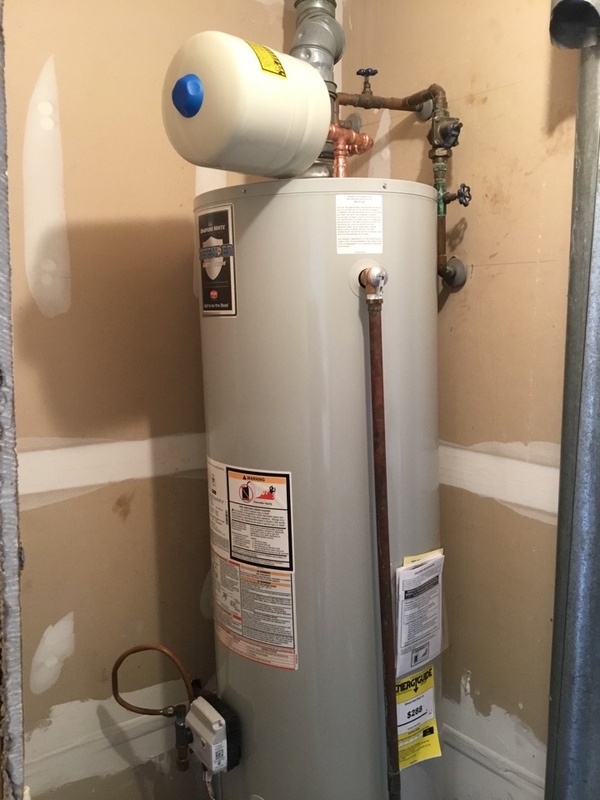 Install new dual stop on the hot water line under the kitchen sink cabinet and reconnect the kitchen faucet. In the pineville area install customer new pulled out kitchen sink faucet, install customer dishwasher, hook up the garbage disposal,and the wasted drain . In the upstairs hall bathroom lavy sink faucet on the cold side low water pressure, under sink removed the stop it was clugged. Clean out put it back Trun on water got very good water pressure. Install new 40 gal gas Bradford white h.w.h in the garage. In the charlotte area pull and reset the basement full bathroom toilet. Snake out washer machine and drain line in the charlotte area. Install new 50 gal gas Bradford white h.w.h in the garage also new 3/4 pressure reduced valve under the house. Snake out three lavy sink drain , one in the 1/2 bathroom, one upstairs hall bathroom, upstairs master bathroom. Install new 1/3 h.p. Garbage disposal under the kitchen sink. Snake out washer machine and kitchen sink drain line . In the master bathroom tub drain stopper wasn't holding water , installed new toe - stopper in the master bathroom tub, now it holding water . Clean out main sewer line from the downstairs basement clean out .